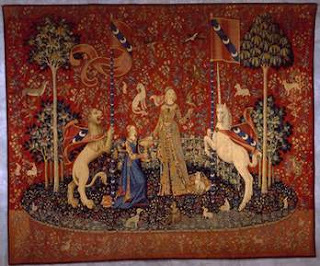 During my most recent trip to Paris, for the meeting and discussions about the sustainable food movement (see blog post Travels, talks, and food, February 7), I was compelled to indulge my fascination with the Lady and the Unicorn (La Dame a la licorne) tapestries at the National Museum of the Middle Ages (Musee national du Moyen-Age, formerly known as the Musee de Cluny) at the Hotel de Cluny in Paris. 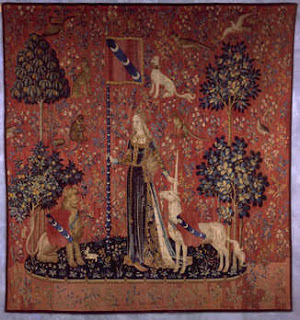 The set of six tapestries, woven in Flanders of wool and silk, dates back to the 15th century. 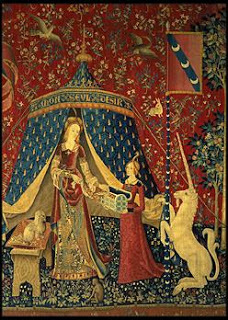 The tapestries, found in poor repair in 1841, were restored and have been at the Cluny since 1882. 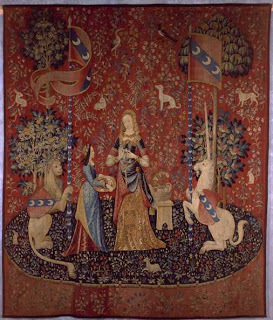 The tapestries are said to depict the five senses. The sixth, stitched with “a mon seul desir” is variously interpreted as “To my only desire,” “My heart’s desire,” and other interpretations. To me, the sixth tapestry is about intuition. 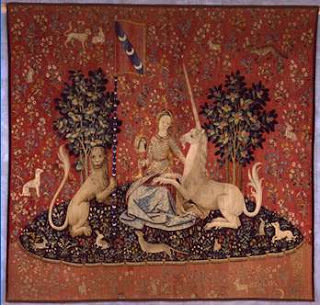 In each, there is a woman, a unicorn, and a lion; other creatures and people show up in the various scenes. These are extraordinary works of art, and on the occasions when I’ve been in Paris, a visit to the Cluny is a must. I am enthralled with the handiwork, the colors, and most especially the content. Click on a tapestry to read about that tapestry from the museum’s website. 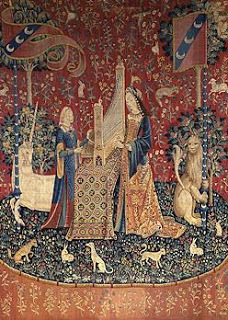 What is your interpretation of the sixth tapestry? My captivation with the tapestries has me wondering about the magic, if you will, that is the gift of the senses and how they help to make us more aware of the world. I try to live a life fully engaged, which to me is living a sensual life – or being in the world with all the senses awakened and aware. Admittedly, being fully engaged with one’s senses can be challenging and even a bit distracting initially. 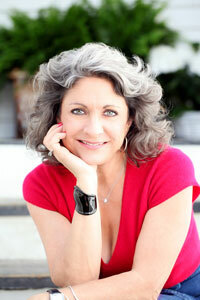 What is something you can do or experience that engages each of the five senses (taste, sight, smell, touch, hearing)? Many possible responses might involve some or most of the senses, but very few I can think of engage them all. My next post will share one of the few answers I’ve ever come up with to that question. In the meantime, as an exercise, try being more aware of your senses in all you do. I think you might be surprised what more you notice when you are more alert.